This is a question I get all the time! What is the average for flowers? How much does a bouquet cost? Can you give me an estimated price based on what we just talked about? Those questions are somewhat easy to answer, but at the same time very difficult too. Every wedding of mine is so different from the next that there isn’t quite a perfect average. Every florist is also so different and unique that prices place to place vary too. If you get a quote from one florist, go meet with another and the prices are different, please don’t assume one is ripping you off. The real piece here to compare is their floral recipe; what flowers they are using for your wedding. All flowers differ in price and differ from season to season (sometimes week to week in our industry). If you do not know flowers and do not know how to compare the two quotes, go with the person you felt more comfortable with. Go with the one that made you smile and get excited for your wedding flowers, go with your gut! As we all know, cheaper does not always been better. So to go back and answer your question on how much do flowers cost, on average a person spends 8-10% of their total wedding budget on flowers. So if your wedding budget is $30,000 you would roughly be spending around $3,000 on floral decor. That is average! If flowers are your top priority for your big day, go ahead and spend a little extra, if you are not into flowers and your dress was top priority, go ahead and spend less. It is your wedding. 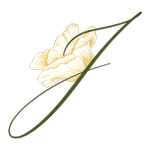 Click here to inquire with Floral Designs by Justine! Photography by Candace Jeffery. The above bouquets were designed for the Wedding Embassy’s annual fashion show.